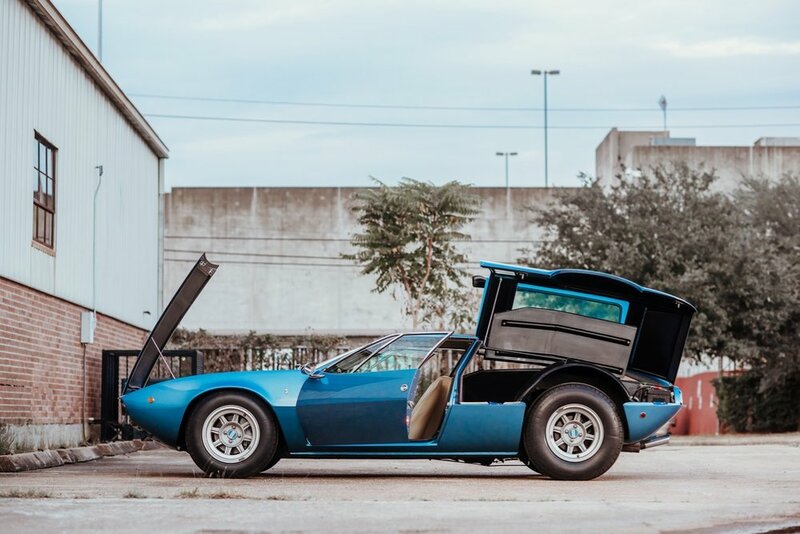 In 1969, if you wanted a mid-engine sports car for the road, you had two choices, and both were Italian: the Lamborghini Miura or the De Tomaso Mangusta. 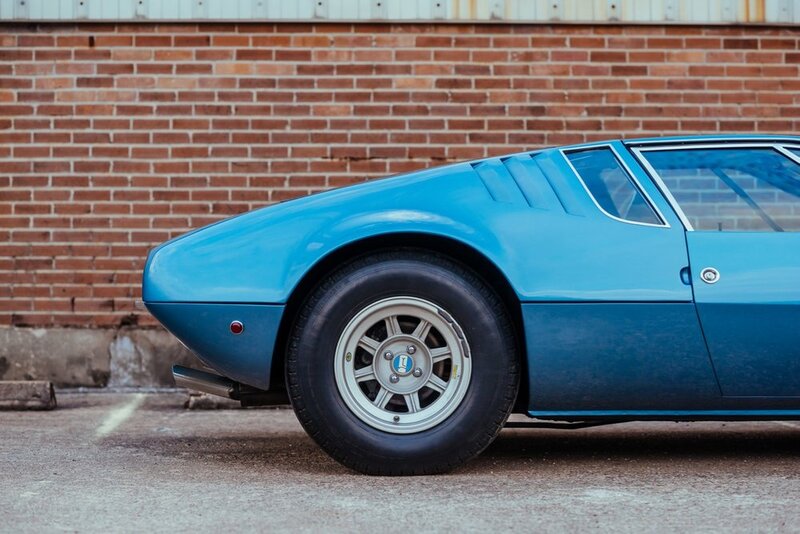 While the Miura often is credited with the genesis of what we now call the “supercar”, the Mangusta was equally outrageous and deserves similar credit to introducing the world to a layout that up to this point was only found in cars designed for the racetrack. 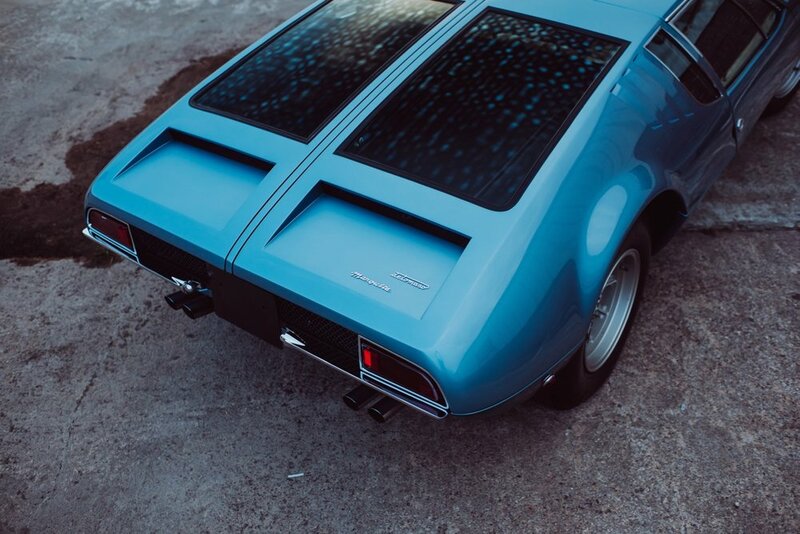 Wrapped in curvaceous and sensuous bodywork designed by the great Giorgetto Giugiaro, already a prolific designer of stylish Italian automobiles of the period, the Mangusta was powered by a Ford 302 cubic inch/5.0 liter V8 engine generating 221 horsepower. 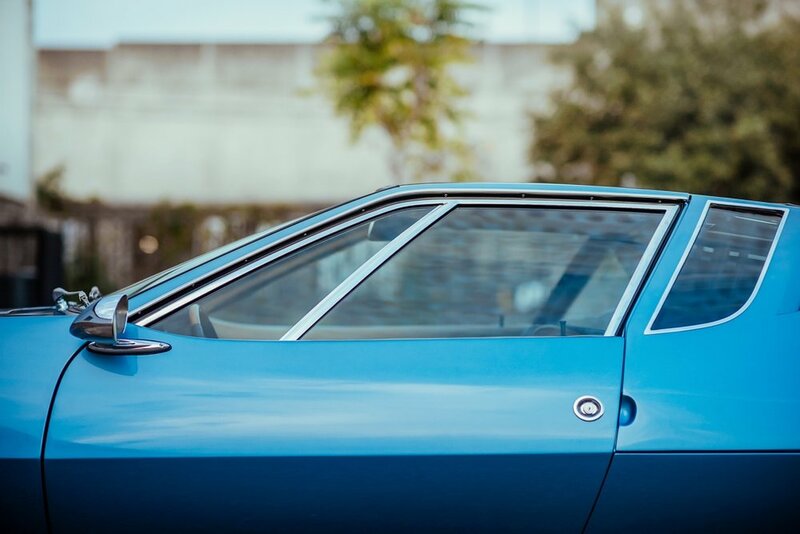 Only 401 Mangustas were ever built between 1967 and 1971, and it is generally agreed that about 250 cars actually remain, making the Mangusta an extremely rare sight indeed. 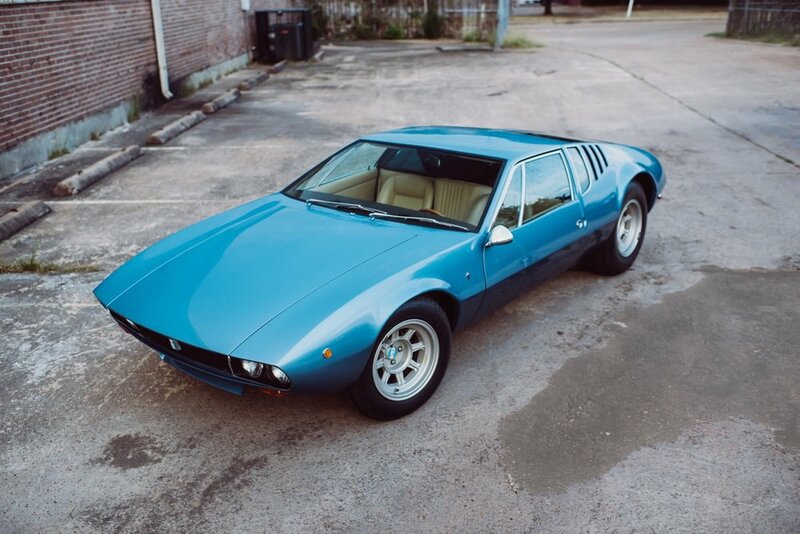 I am extremely honored to be able to present this 1969 De Tomaso Mangusta, chassis 8MA858, on consignment from its current owner, only the 4th owner in this automobile’s history. It has only been driven 2,900 miles in its 47-year existence, and is in almost completely original and unmolested condition. 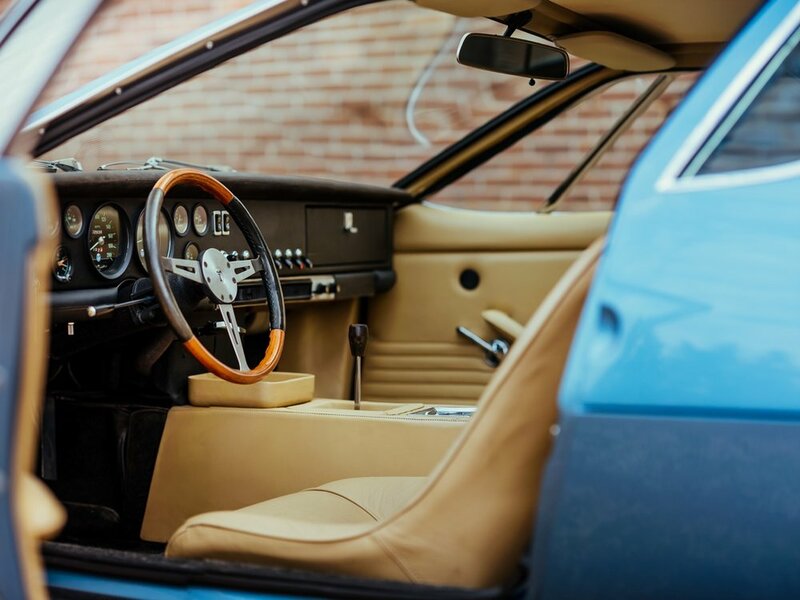 Purchased new from Hillcrest Motor Company in Beverly Hills, California, the first owner repainted the car within its first year to yellow, to match a yellow Mangusta that he had seen in a magazine article. The original bill of sale as well as the photo documentation of this initial color change is present, as is multiple auto registrations throughout the car’s history corroborating the extremely low 2,900 miles. 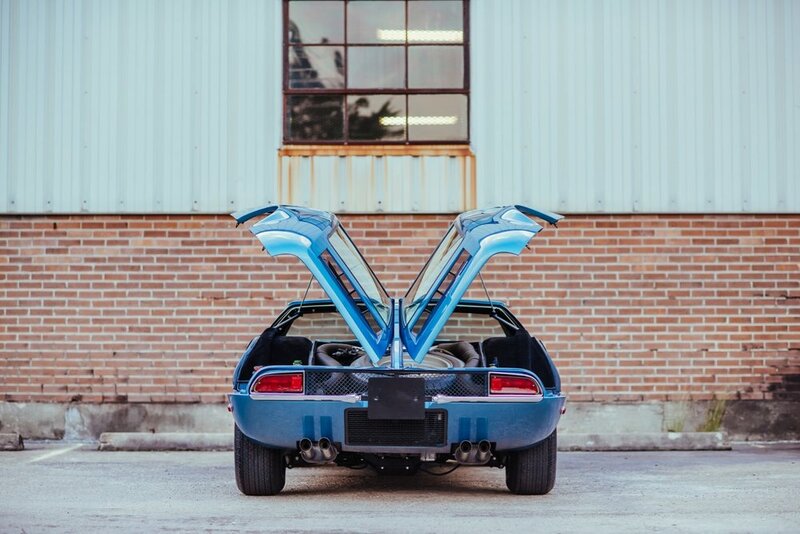 After purchasing the car in 2014, the current owner had a very well respected exotic car restoration facility perform a concours-quality bare metal repaint to return this Mangusta to its original livery of Silver Blue Metallic, at a cost of over $60,000, with photo documentation and receipts present. 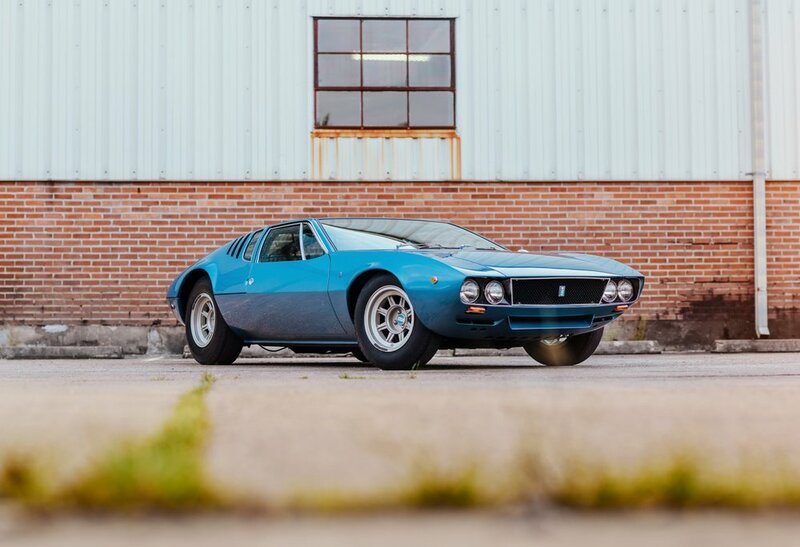 Other than the paint, however, this Mangusta is completely original, and truly displays the level of care this automobile has received over the years. 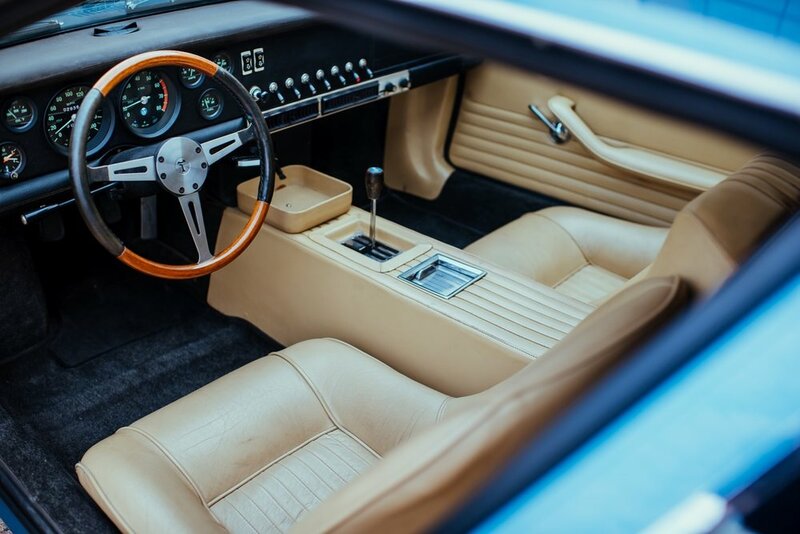 The interior leather is still supple and is undyed, and the “mouse hair” fabric on the dashboard is still in excellent condition. The factory-installed air conditioning system is intact and in working condition, as is all of the electric components. The doors close with a satisfying “click”, sitting even against the original weatherstripping. Exterior panel fit is as new, as you would expect on a car with this mileage and condition, and all gaps are even. 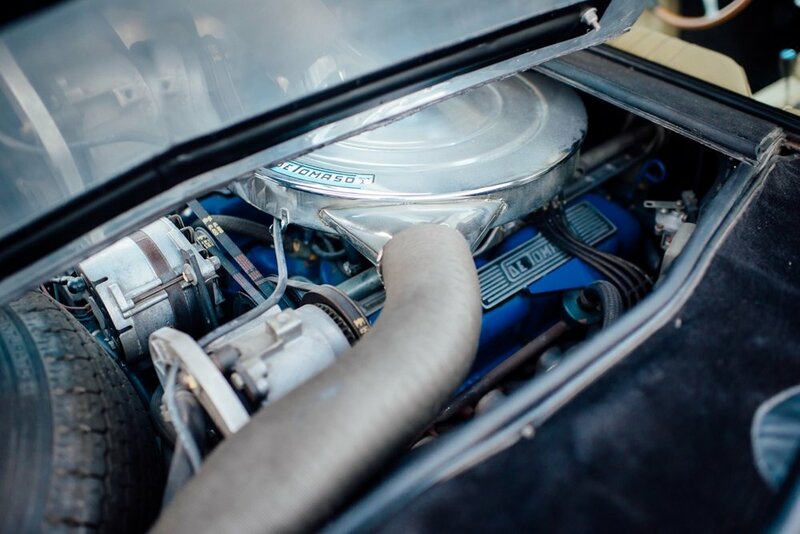 The engine and other mechanicals are in equally excellent condition, and that Ford V8 sounds truly amazing right behind your ear. Even the tires are original, dating from 1969, and exhibit very little deterioration, although I wouldn’t recommend testing the top speed of this car (155 mph, as tested by Paul Frere in period) on these original tires! 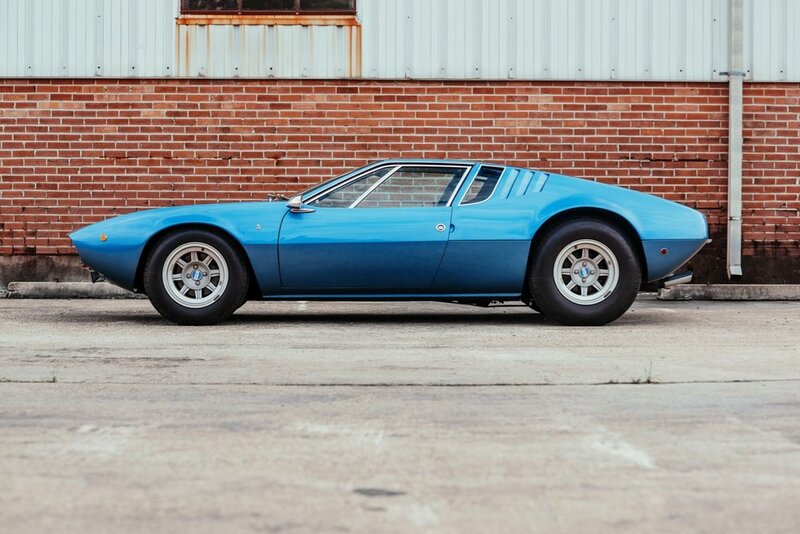 And, of course, this Mangusta is complete with all of its books, tools, and documented history. 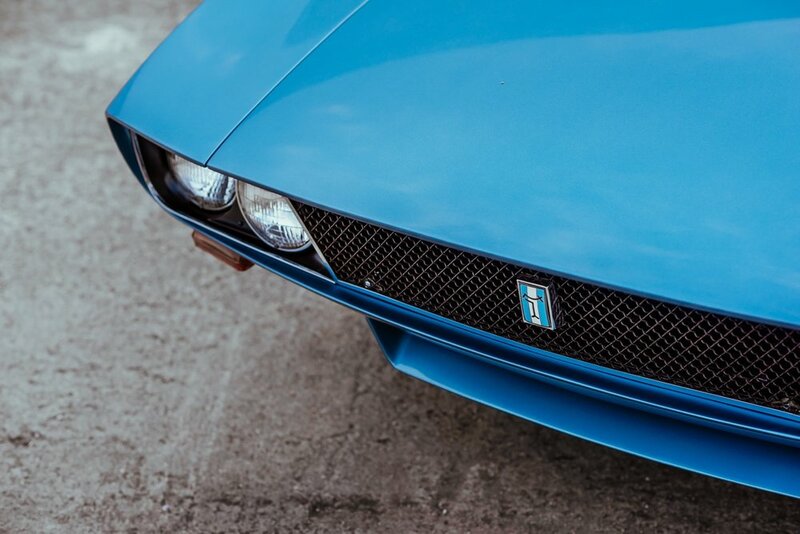 The De Tomaso Mangusta is finally being recognized as the important and groundbreaking mid-engined supercar that it truly was (and is), taking its rightful place in history next to the other essential sports cars of its day. 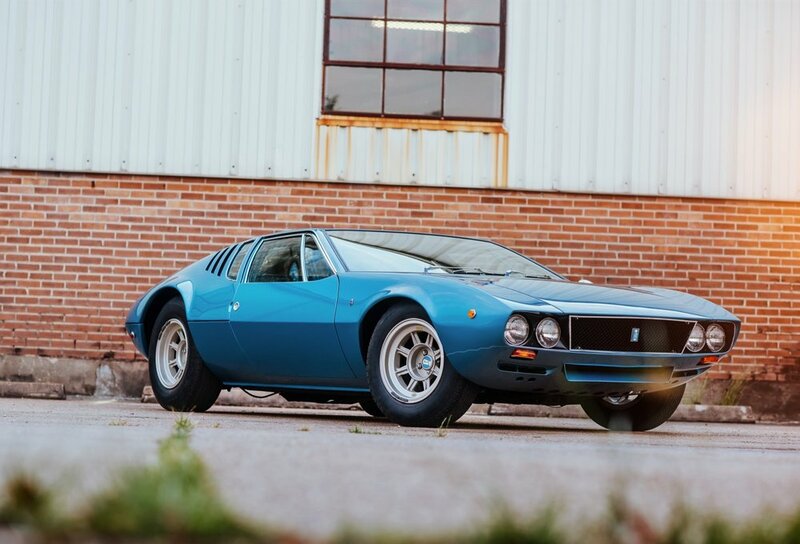 Very few of these cars were made, and finding an example with this unbelievably low mileage and in this kind of original and unmolested condition is exceedingly difficult if not impossible, making this an opportunity not to be missed for the collector who dares to look past the more common exotics and who can appreciate this beautiful and stunning combination of Italian styling and American muscle.